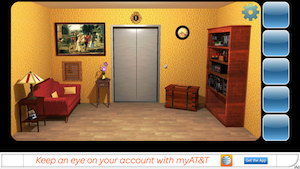 Quirky App Of The Day: Can You Escape 8 Locked Rooms? 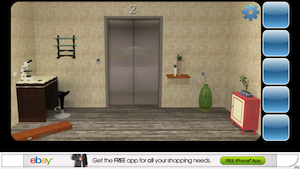 Can You Escape (Free) by Kaarel Kirsipuu is a puzzle game that has eight different rooms that you must escape from. I’ve reviewed a few escape games, and most of them have shady or disturbing backstories. You’ve been kidnapped, you’ve attended a dinner party where your hosts obviously enjoy torturing their guests, or you’re a thief in a museum. This game is much friendlier. There is no indication in this game that your survival depends on being able to break out of these rooms. The rooms are bright and colorful. The puzzles are pretty straightforward, and there aren’t too many tool combinations that you have to come up with. 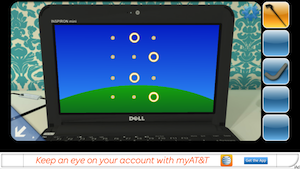 This game uses tapping gestures to pick up items, use them, or combine them into a new object. 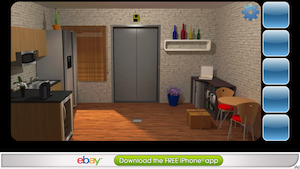 You navigate the rooms by clicking on the arrow buttons down in the corners. Your inventory is along the side of the screen, so you can always see what’s available. 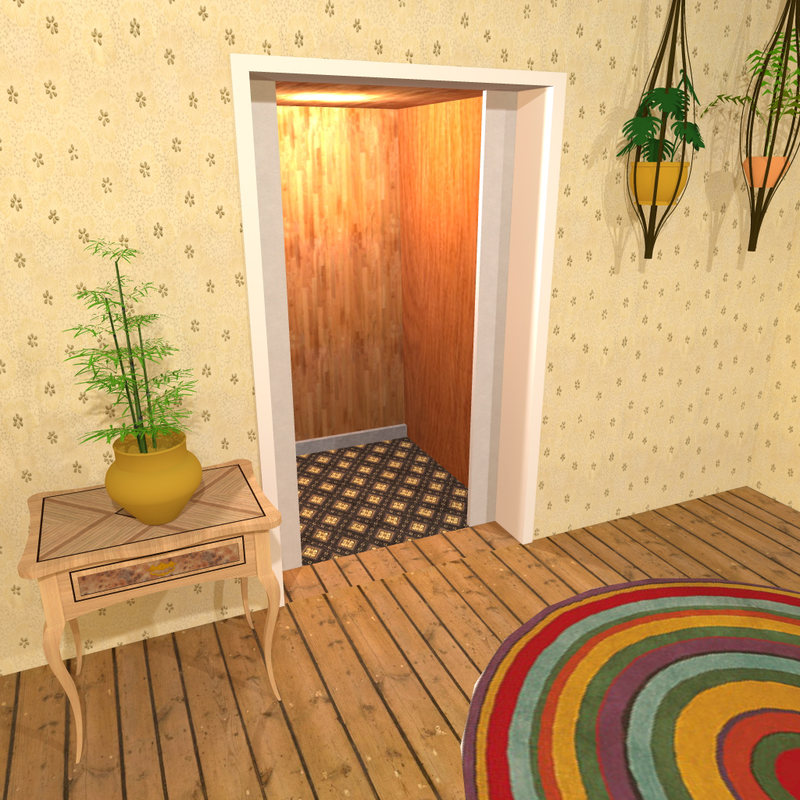 Each room uses new tools, so you won’t be carrying items from one room to another. I’ve mentioned before that I love escape games because they’re so challenging, but I’m absolutely horrible at them. It takes me forever to figure them out. I also usually have to resort to using a walkthrough. However, I’m proud to admit that I didn’t need one at all for this game. I also completed it in about an hour. This isn’t a game that you should be stuck on for days like other escape puzzles. The tool combinations are also pretty obvious. I don’t want to give them away, but when you see the two objects, it’s apparent that they need to go together to make an item work. 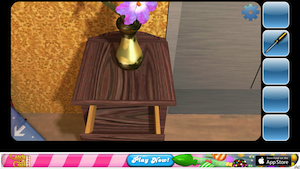 The game is also entirely hint and puzzle based. You find codes for boxes or diagrams about what buttons should be pushed. In some escape games, you have to solve riddles to get the combination to open a lock. That’s not the case in this game. It’s really straightforward. If you do happen to get stuck on a certain level, you can buy the walkthrough for that particular room. The bonus to this is that it won’t give away the entire game. You can pick and choose which rooms you need help with. 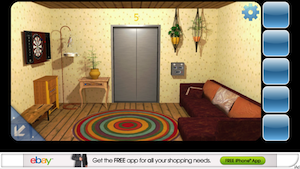 The downside is that if you need a lot of help, then the walkthroughs can become expensive. Each walkthrough costs $0.99. You can also purchase a bonus package of extra levels or remove the ads for $0.99. The walkthroughs, bonus levels, and ad removal are all bought through in-app purchases. This was one of the easier escape games that I’ve played. It’s a great starter app for people who would like to give the genre a try, but they’re not sure where to start. 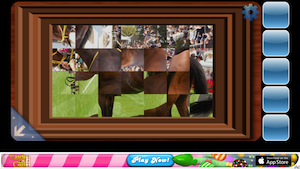 The puzzles are challenging, but they’re not overwhelming. It’s a simple, straightforward app. 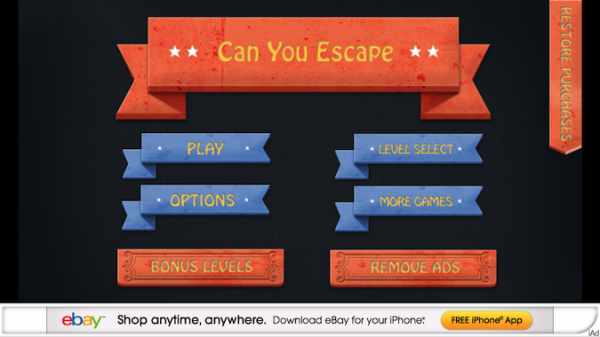 Can You Escape is a universal app, and it’s available in the App Store for FREE!